I've never been one for patience especially when it comes to making desserts. I enjoy an amazingly decadent treat but usually it takes me way too long. When it doesn't come out I'm left with tears and nothing but a mess. That's why I always have chocolate and peanut butter on hand. 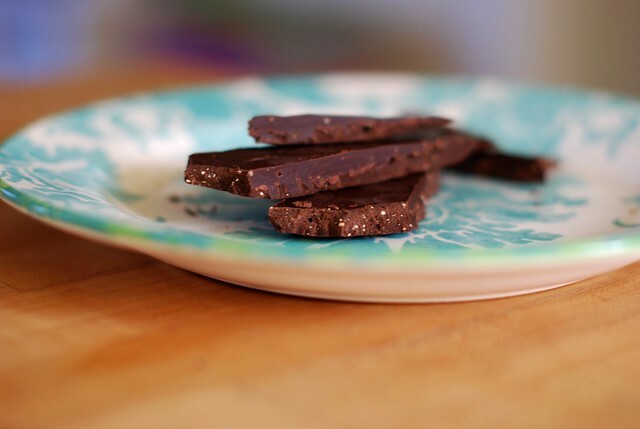 I know that if all else fails I can whip up this delicious and healthy chocolate bar with ease. There is nothing fancy about this. It's just two healthy ingredients. I melt them, refrigerate and eat. That's it! I use dark chocolate and natural peanut butter so that it's guilt free*. The creamy peanut butter works as a great balance to the bitter chocolate.If you don't like dark chocolate you can use milk chocolate. Easy peasy! 1. 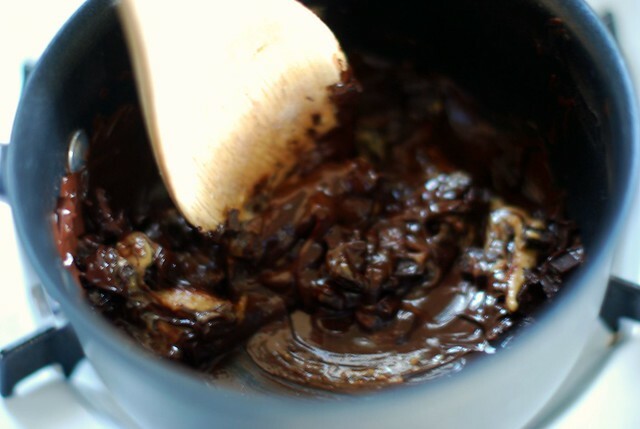 Using a small sauce pan melt the chocolate on low heat. 2. 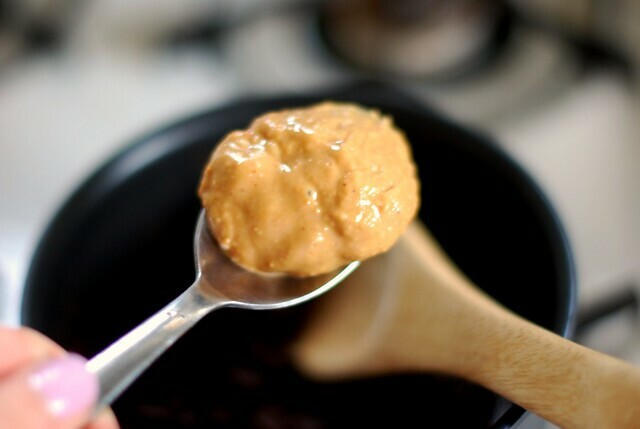 Once chocolate begins to melt add the peanut butter. 3. 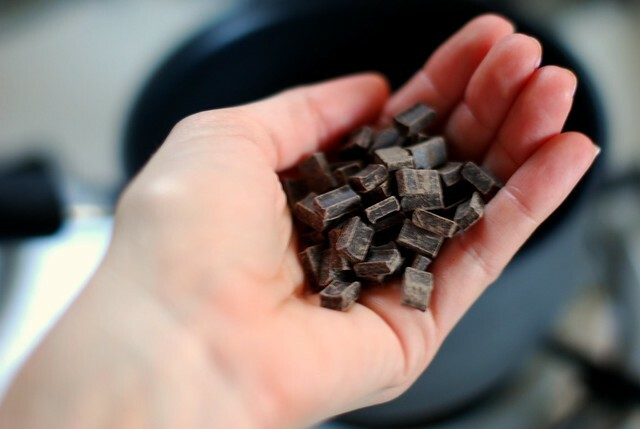 Stir continuously until chocolate is fully melted. 4. 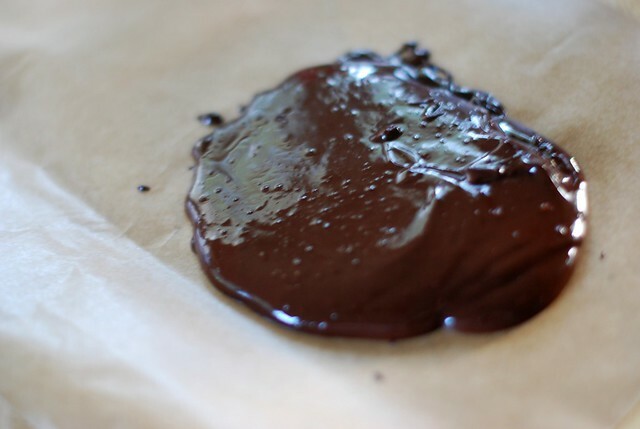 Pour chocolate onto a sheet of wax paper (try to keep it thicker so your bar isn't too thin). 5. Refrigerate for an hour or two or overnight. 6. Enjoy a healthy and yummy treat! *This is guilt free unless your like me and eat the entire thing in one sitting! Ohh, that looks delicious!! Nice work! I have to agree with the whole lack of patience with making deserts... This looks great!!! My boyfriend would LOVE this!!! :D I have to be a good girl and make it for him! Mmmmm, this sounds absolutely AMAZING! And easy, too. I love that all your treats are healthy, I need to try more of them ♥ And all your fitness posts are really inspiring! Thank you for sharing with us. P.s. 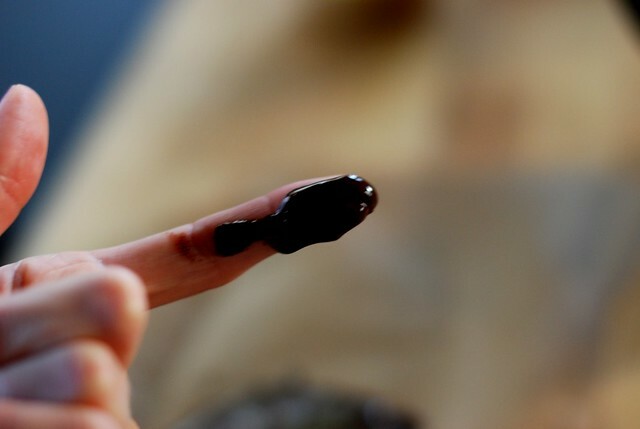 love your nail color! Surely a delicious one! The combination itself says so. I love chocolates and peanut butter as well. They're just so perfect together. seriously so easy! i bet they are like reeces, which i love! thanks for sharing...going to have to make these ASAP! What a great easy recipe...thank you for sharing! I eat a piece of dark chocolate (reeeeally dark) everyday, so this is a nice little change from the ordinary. look so good! I could go for some chocolate! I like easy peasy! I dont have much time these days so seems like an excellent treat :) and something super simple! That looks so yum! I am actually the most horrific cook but even that looks like something I'd me game enough to attempt...thanks for the recipe! Haha, my dessert attempts often end in tears as well! can't go wrong with pb and dc, thanks for sharing! That looks amazing! 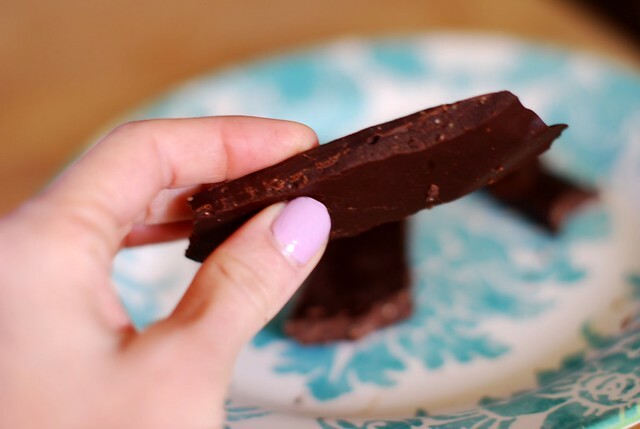 Definitely taking my chocolate cravings up a notch :) Thanks for posting! that looks great! I may try it on one of these days! this looks good! i never would have thought of it - so easy, love it. My favorite flavor combination! 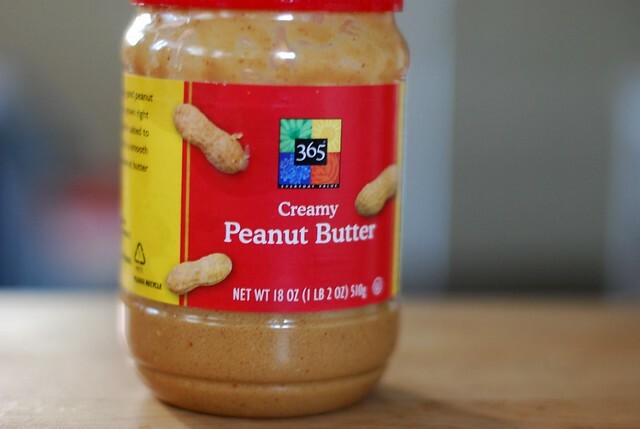 I wonder what would happen if you used chunky peanut butter. PS... love the caveat. I, too, would eat the entire thing. Mmmm, that looks so good! Nice idea! Oh my, this is too easy not to try making a personal size bar tonight with the nearly-empty bag of chocolate chips in my pantry. Making these this weekend. Love the melt them, refrigerate and eat. Easy and amazing! what a great idea!!! im going to try these this weekend, thanks! Your photos are fab. Do you take them? Do you photoshop?